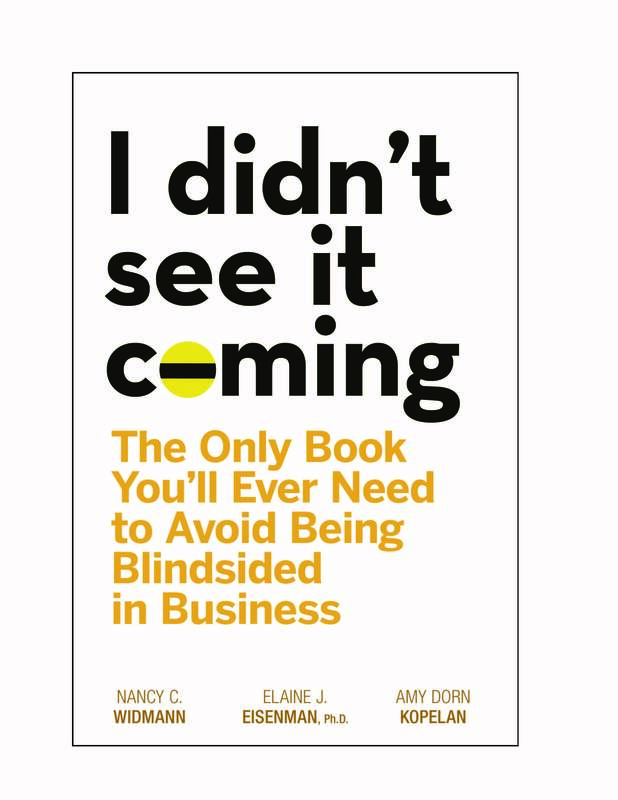 Amy Dorn Kopelan is the co-author of i didn’t see it coming: the only book you’ll ever need to avoid being blindsided in business. i didn’t see it coming provides critical counsel and keen observation on how all employees can develop strategic insights and sharp instincts for reading the room and controlling their own destiny. For anyone in a dicey situation, even if they don’t yet know it, this is the ultimate guide for surviving when the time-bombs begin ticking. i didn’t see it coming shows readers how to spot the danger signs, see the red flags, and wage a successful campaign to win in business. From tips on surviving a new boss to keeping your perspective when you become the new boss, the insider’s “Bible” gives you tools you need to reach the top and never be blindsided.